Jensen, J.A. “A 20,000,000-Gal. Hypochlorite Water-Disinfecting Plant at Minneapolis, Minn.” Engineering News. 63:14 (April 7, 1910): 391-2. McGuire, Michael J. 2013. The Chlorine Revolution: Water Disinfection and the Fight to Save Lives. Denver, CO:American Water Works Association, Chapter 12. Commentary: The chlorination of the water supply for Minneapolis was part of the explosion of chlorine use after the first use on the Jersey City water supply planned and executed by Dr. John L. Leal in 1908. This entry was posted in Year 7 TDIWH and tagged chlorine, drinking water, Minneapolis, Mississippi River, public health, pumping plant, sewage, typhoid fever, water on February 25, 2019 by safedrinkingwaterdotcom. This entry was posted in Year 6 TDIWH and tagged chlorine, drinking water, Minneapolis, Mississippi River, public health, pumping plant, sewage, typhoid fever, water on February 25, 2018 by safedrinkingwaterdotcom. This entry was posted in Year 4 TDIWH and tagged chlorine, drinking water, Minneapolis, Mississippi River, public health, pumping plant, sewage, typhoid fever, water on February 25, 2017 by safedrinkingwaterdotcom. This entry was posted in Year 3 TDIWH and tagged chlorine, drinking water, Minneapolis, Mississippi River, public health, pumping plant, sewage, typhoid fever, water on February 25, 2015 by safedrinkingwaterdotcom. 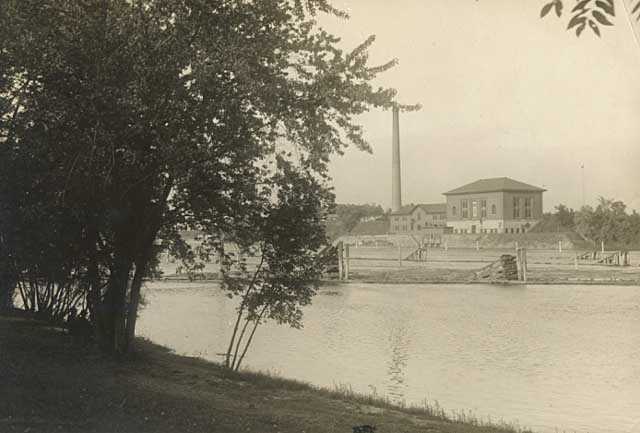 This entry was posted in Year 2 This Day in Water History and tagged chlorine, drinking water, Minneapolis, Mississippi River, public health, pumping plant, sewage, typhoid fever, water on February 25, 2014 by safedrinkingwaterdotcom. This entry was posted in This Day in Water History and tagged chlorine, drinking water, Minneapolis, Mississippi River, public health, pumping plant, sewage, typhoid fever, water on February 24, 2013 by safedrinkingwaterdotcom. Now on Kindle and in Paperback!